Re:wire is a refined weight loss solution that contains a fusion of sophisticated, effective, and safe thermogenic ingredients. Dieting and exercise can take a toll on your mind and body. It can have you lose the focus and energy needed to stay with your fitness regiment. The combined ingredients utilized in Re:wire work synergistically to provide the metabolic support for fat loss, plus the energy and focus needed to power through your training. Increases Thermogenesis, increases metabolism, suppresses appetite, promotes focus. 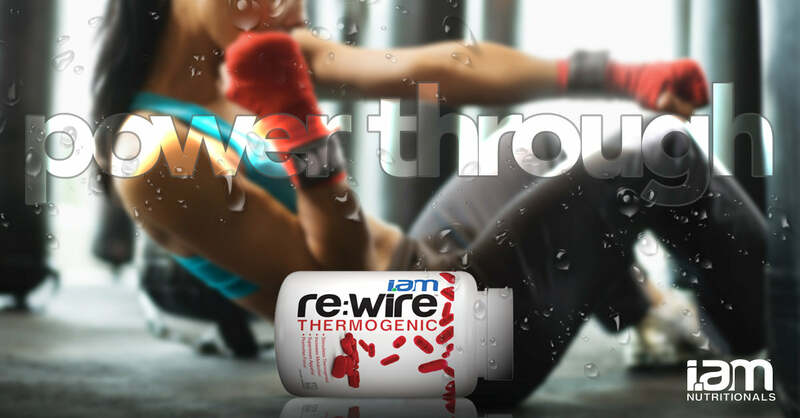 Rewire is an advanced weight loss solution designed to stimulate thermogenesis and increase calorie burning to help you get the most out of your diet and exercise program. As a dietary supplement, begin by taking 1 capsule on an empty stomach 30 minutes before breakfast or morning exercise to assess you tolerance. With caution, you may increase up to 2 capsules in the morning. Additionally, 1 capsule may be taken 6-8 hours later. Do not take more than 3 capsules daily or 5 hours prior to bedtime. For best results, use for 60 days in combination with diet and training. Do not use product for more than 8 weeks. Allow at least a 4 week break before starting another 8 week cycle.